Though some may fear them, GMOs are saving lives. The shadow of the Zika virus hangs over the Rio Olympic Games, with visitors and even high-profile athletes citing worries about Zika as a reason to stay away (even if the risk is probably quite low). The public’s concerns are a striking example of the need to rapidly combat emerging infectious diseases. In the fight against Zika, public health experts have turned to what may sound like an unlikely ally: genetically modified organisms, or GMOs. Consumers are used to hearing about GMOs in food crops, but may be unaware of the vital role GMOs play in medicine. Most modern biomedical advances, especially the vaccines used to eradicate disease and protect against pandemics such as Zika, Ebola and the flu, rely on the same molecular biology tools that are used to create genetically modified organisms. To protect the public, scientists have embraced GMO technology to quickly study new health threats, manufacture enough protective vaccines, and monitor and even predict new outbreaks. Vaccines work with the immune system to strengthen the body’s own natural defenses. A vaccine offers a preview of a potential infection, so the immune system is ready to pounce if the real threat shows up. The earliest vaccines were primitive – think Edward Jenner in the 1790s inoculating against smallpox by rubbing together the open wounds of uninfected patients and those with cowpox. 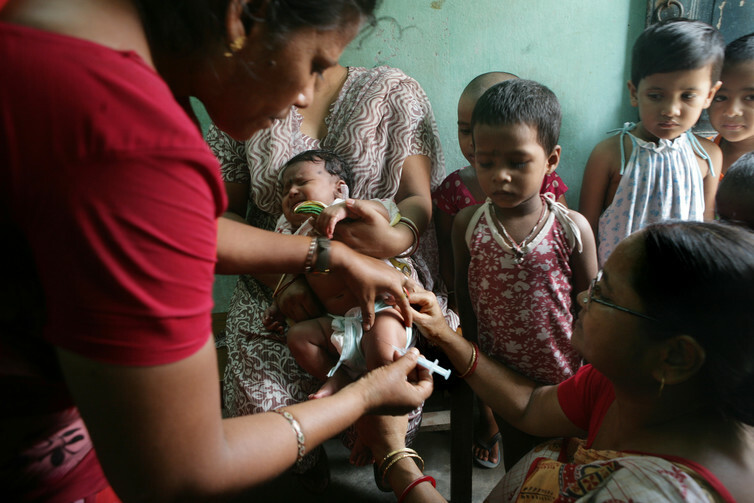 But over the years, advances in medical technology led to improved vaccines. The modern age of vaccines was ushered in by the introduction of molecular biology tools in the 1970s, which vastly improved our ability to study and manipulate viruses. Under the microscope, viruses look like spiky balls, with an internal cargo bay that houses their genetic material. 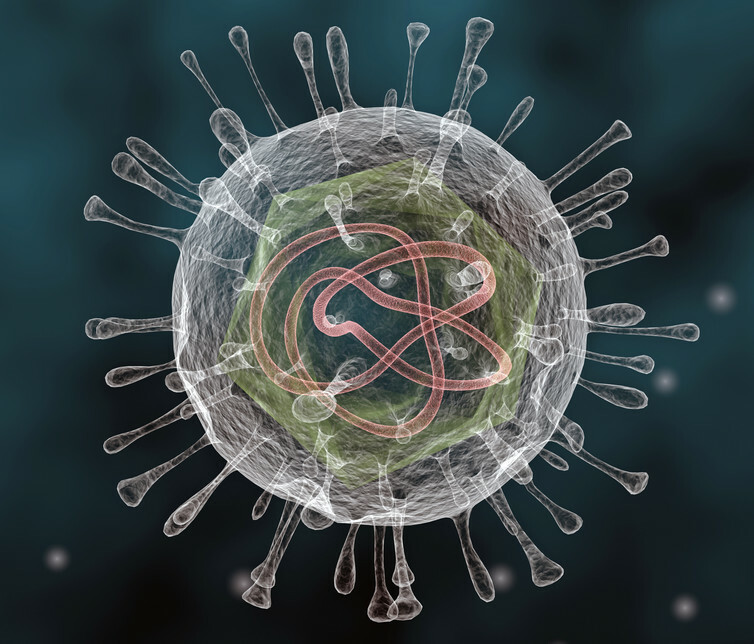 “Dissecting” a virus means using molecular biology tools to study its genes (whether encoded via DNA or RNA) up close. For example, researchers can “cut and paste” genes to study them in isolation and figure out what they do. Or researchers can cause genetic mutations and watch how an organism responds. When DNA is modified or studied inside different cells than those from which it originated, it is called “recombinant DNA.” An organism with recombinant DNA is considered a GMO. 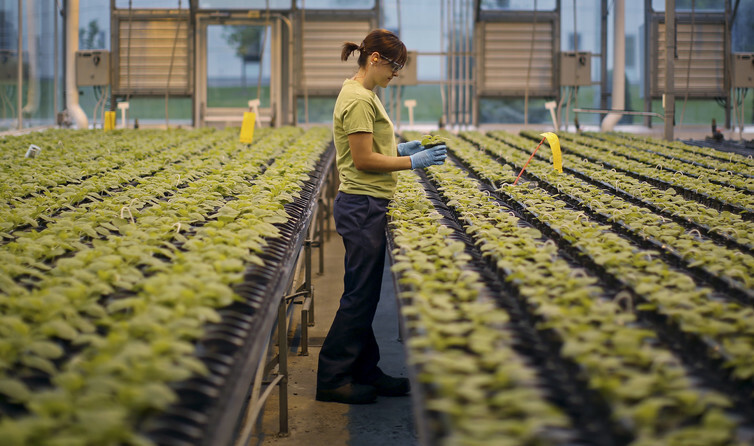 GMO developers use molecular biology, manipulating genes to study and alter plant DNA, for instance, to create new varieties that can thrive with less water or fewer pesticides. One disease currently being addressed with the help of molecular biology is hepatitis B, which kills one person every minute worldwide – even though we do have an effective vaccine. In the 1960s, virologists realized that the hepatitis B antigen – a protein from the virus’ outer shell that triggers an immune response in an infected person – showed up in the blood of hepatitis B patients. To their surprise, injecting a healthy person with the purified antigen protected against future infections. The first hepatitis B vaccine (HBV), approved in 1981, was made by harvesting the antigen from the blood of hepatitis B carriers, including intravenous drug users. Once recombinant DNA technology was developed, researchers could isolate the gene for the virus’ antigen protein, allowing for HBV to be manufactured in laboratories via those genetic instructions instead of from infected blood. Currently, both FDA-approved vaccines for hepatitis B include the recombinant version of the antigen. And molecular biology can be used to accelerate the development of new vaccines. For example, in late June, a “DNA vaccine” was the first to be approved for human trials against the Zika virus. Rather than containing the Zika antigen itself, the vaccine contains a gene for the Zika antigen which the patient’s body then produces. Consumers who scrupulously avoid genetically modified foods might be surprised to know that lots of drugs and vaccines they rely on are the product of GMOs. Many vaccines and top-grossing pharmaceuticals contain proteins as the main ingredient. Proteins are too costly and delicate to manufacture from scratch. But living cells must make proteins to survive, and they can be coaxed to produce medical proteins in bulk, requiring little more than the DNA instructions and sugary broth as fuel. Since these genetic blueprints must be inserted into the cells, many vaccines and drugs are technically the product of GMOs. Modified bacteria, yeast and even Chinese hamster cells are the unheralded molecular factories of the drug and vaccine industry. In 2014, 10 of the top 25 best-selling drugs were “biologics” – drugs made up of recombinantly produced proteins – including blockbuster treatments for arthritis, cancer and diabetes. Of the 10 vaccines that the Centers for Disease Control and Prevention (CDC) recommends for newborns, three are available in recombinant form; HBV, for example, is produced by modified yeast. The earliest recombinant vaccines and drugs have been in use for three decades. Perhaps the most dramatic example of GMO use in medicine came during the 2014 Ebola outbreak in West Africa. When American doctor Kent Brantly and other Western volunteers contracted Ebola, several were cured by a “secret serum” called Zmapp. Manufactured by genetically modified tobacco plants, it’s a mixture of several proteins that attack the Ebola virus. The technology for producing drugs in genetically modified plants, dubbed “pharming,” was developed by Charles Arntzen in the early 1990s. In the case of Zmapp, the antibodies are made in the tobacco plant’s leaves. When they’re harvested, rather than being made into cigarettes, their cells are popped open and the drug is collected. Researchers call pharming “a revolution for the field” of manufacturing pharmaceuticals. The biotech company Applied Biotechnology Institute has embraced the technique to make a next-generation pharmed vaccine. They’re developing a genetically modified corn plant that produces the hepatitis B antigen. The plant could be harvested and turned into an oral vaccine tablet, which looks like a small wafer, as opposed to a liquid which must be refrigerated and injected. The hope is that an oral vaccine can lower the rates of hepatitis B in the developing world, where the cold supply chain, sanitary needles and trained medical personnel the current vaccine depends on are either lacking or prohibitively expensive. Beyond improved vaccines, equally pressing for the future of public health will be addressing pandemics that have not yet even begun. Virologist Esparza counts 11 pandemics that have occurred in the last 14 years, including Ebola, the H1N1 (swine) flu and MERS – all but one of which were viruses. “It is totally predictable there will be other pandemics. What is not easy to predict is which one. Two years ago, no one could have predicted Zika,” he told me. Molecular biology is often found on the front lines of pandemics, appearing in on-the-spot diagnostic tools that are cheap and do not require extensive equipment or training. For example, a Harvard-led team recently unveiled a paper-based test – similar to a pregnancy test – that uses the CRISPR/Cas gene editing tool to distinguish the Zika virus from the closely related Dengue virus. If the Cas9 protein encounters the specific DNA sequence of Zika virus in a drop of blood, it starts a chain reaction that results in a colored readout. Beyond diagnosing single patients, molecular biology tools will be used to get ahead of the as-yet-unknown pandemic threats that lie in the future. Public health officials are calling for monitoring infections in the places where new diseases frequently emerge. 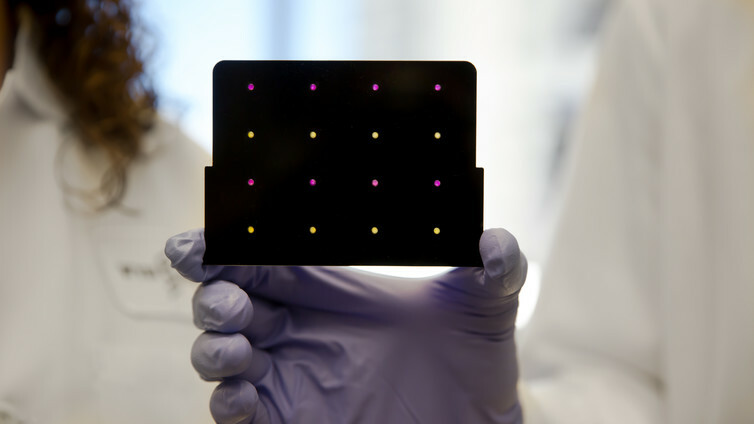 Quick and accurate diagnostic tests are key to determining which viruses are already circulating and would allow researchers to anticipate new pandemics and develop and stockpile vaccines. “Until now, we have had a very reactive response” to threats like Zika and Ebola, says Dr. Esparza. With the help of GMOs, infectious disease experts have the tools to get ahead of the next outbreak, moving beyond reaction to quick detection, containment and even prevention.